Beattie's Book Blog - unofficial homepage of the New Zealand book community: Lloyd Geering drew one of the biggest audiences at the recent AWRF - most impressive at 95 ! Lloyd Geering drew one of the biggest audiences at the recent AWRF - most impressive at 95 ! 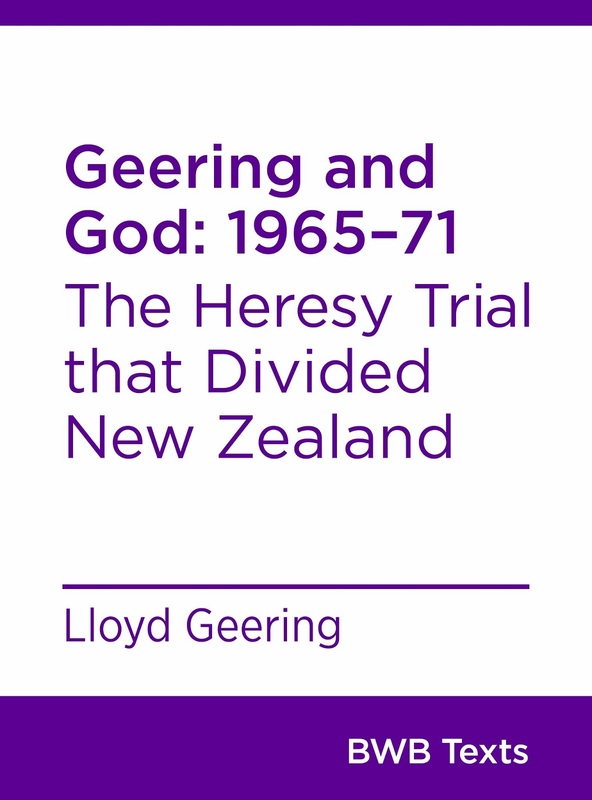 The events surrounding the ‘trial’ of Professor Lloyd Geering for ‘heresy’ in the late 1960s were unprecedented in New Zealand history. 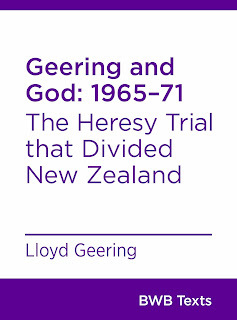 In the late 1960s Lloyd Geering became a public figure among New Zealanders when he was charged with ‘doctrinal error’ – generally referred to as ‘heresy’ – and ‘disturbing the peace and unity of the [Presbyterian] church’. Led by a group of conservative laymen, the charges were brought before the church’s General Assembly in Christchurch in 1967 but were eventually dismissed. These dramatic events and those that followed through to 1971 are described in Lloyd Geering’s own words in this BWB Text, sourced from his autobiography Wrestling With God.